Virages brings us a good pile of new retro logos decals. Those fond of aged tasting kits will love the oldest Castrol logos, while others such as the Wynn's decals confirms that the Eighties are in full swing. Another beauty from the past: the legendary "gull winged" Mercedes Benz 300SL, an irresistible icon to movie stars like Clark Gable or Sophia Loren. 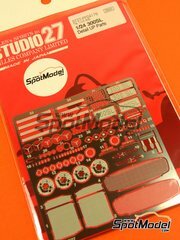 This scale kit by Tamiya will bring you back to times with tons of glamour, the fifties. Want some jewellery and nail polish to embellish this kit as it deserves? 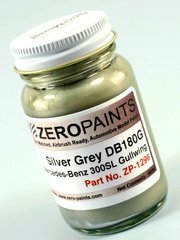 We also have the new photoetched parts by Studio27 and the metallic gray paint by Zero Paints. And in the seventies, inspiration comes from the last issue of Joe Honda books available now for pre-order. 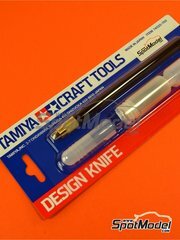 Wrapping up this newsletter, we end with some tools by Tamiya with no less glamorous names (it couldn't be otherwise): the diamond file, specifically designed to work on photoetches, and the design knife. 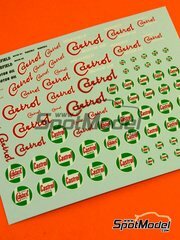 A decal sheet with early Castrol logos used during the last century. 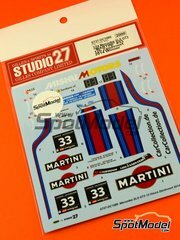 Sheet measures are 11 x 9 centimeters, and the logos are suitable for 1/20, 1/24, 1/32 and 1/43 scales. 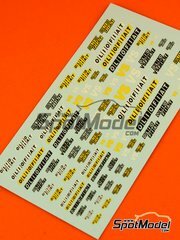 This decals sheet, measuring 14 x 8 centimeters, includes a good pile of Fiat Olio logos in different size and color variations. What scales are they good for? We recommend them mostly for 1/12, 1/20, 1/24 and 1/32. 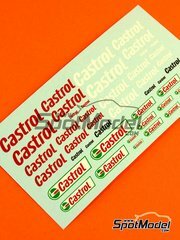 A decal sheet with modern Castrol logos in different sizes, perfect for model kits in 1/20, 1/24, 1/32 and 1/43 scales. The sheet measures 11 x 6 cm. 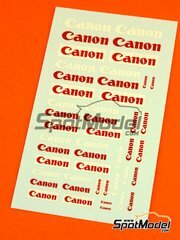 Decal sheet measuring 9 x 5 centimeters with white and red Canon logos, perfect for your Formula 1, Rally, GT's and bike kits in either 1/20, 1/24, 1/32 and 1/43 scales. 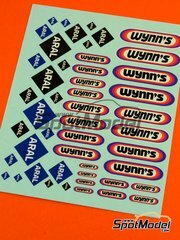 Decals featuring a set of Aral and Wynns logos in different sizes, perfect for decorating your 1/24 scale model kits, as well as 1/20, 1/32 and 1/43. The whole sheet measures 10 x 12 cm. 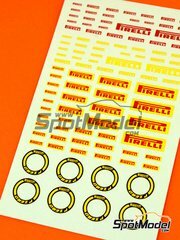 This sheet features Pirelli logos in red, in yellow, and red over yellow background, all of them in different sizes so you can adapt them to your model kits in 1/20, 1/24, 1/32 and 1/43 scales. The sheet measures 8 x 13 centimeters. 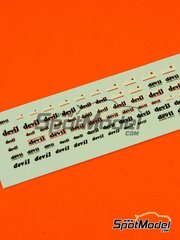 A decal sheet featuring a good pile of Devil logos (bike exhaust pipes manufacturer), perfect for use on model kits in 1/12 scale. The decal sheet measures 9 x 3 cm. 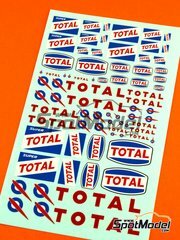 A decals sheet measuring 11 x 18 cm., including the early Total and Super Total logos. 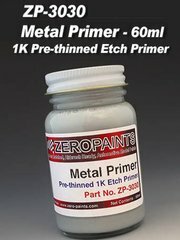 Suitable for 1/24 scale mainly, but they can also be used in 1/20, 1/32 and 1/43 scales. 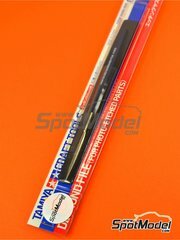 A diamond file, specifically designed by Tamiya to work on photoetches. Mouse tail shaped, it also features a black vinyl handle for improved comfort when used. Every proper modeler's workbench must have a good cutter like this one by Tamiya. The set also includes thirty spare blades, in addition to the cutter itself. Each time Tamiya announces a new kit we're eager to get it in our hands, and... it's finally here!!. 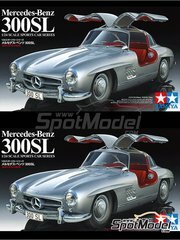 The Gullwing scale model kit, one of the classic European sport cars, gorgeous from everywhere you look at it, elegant, exclusive, in 1/24 scale, and manufactured by Tamiya. It doesn't get better than that! 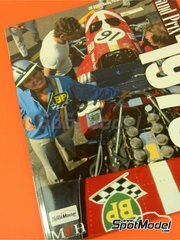 In this first part, the author shows us pictures from five different teams (Ferrari, Brabham, Matra, Surtees and Tyrrell), covering the following Grand Prix: Champions Race, Spain, Belgium, Netherlands, England, Canada, North America and Mexico. The gorgeous winner of the Zandvoort 24 hours in 2014, decorated with the Martini colors. You are already seeing it at your shelf, right?